Rising actor Park Bo Gum has officially started his Asia tour with his first stop at Kuala Lumpur last December 10. 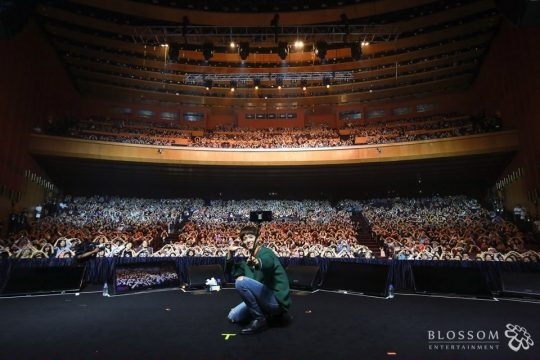 In front of 3,000 fans who attended the fan meeting, Park Bo Gum presented variety of events on stage, including games, performances, talk sessions, and shared his unpublished pictures with the fans. The actor whose name rise after his role as Choi Taek in Reply 1988 as well as recent Crown Prince role in hit drama Moonlight Drawn by Clouds, will continue his Asia tour this December 17 by stopping at Hong Kong and followed by Jakarta (Indonesia), Taipei (Taiwan), Tokyo (Japan), Bangkok (Thailand), Singapore, and end it in Seoul. As it’s getting closer, don’t forget to check the details of his fan meeting in Jakarta and keep the updates close by following @mecimapro on Twitter.